I have to introduce this to the masses. I just have to! When Dave and I were visiting Niagara-on-the-Lake, Ontario, we enjoyed visiting the little grocery store up the street from our hotel. With the continental breakfast being $13.50 CD per person, per day, just picking up a loaf of bread, a block of butter (Canadian butter, yum! ), and a small bunch of bananas at about $8 total took care of breakfast all 3 days we were there. We also picked up souvenirs at this same little grocery store. Little stuffed moose for the boys, maple cream candies and cookies…mmmm…. 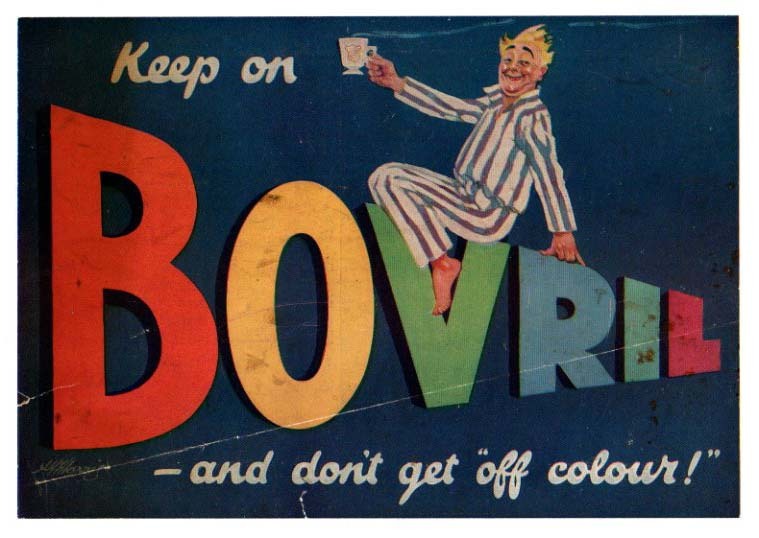 And that’s also where I came across a blast from my past: Bovril. My Mom used to keep this stuff on hand. I guess she incorporated in a lot of our cooking, but I couldn’t tell you exactly what. I think I might have had it in broth beverage form as a kid, but I don’t remember. What I do remember is the distinctive beef flavor Bovril has, and when I saw it in this Canadian grocery store for the first time in several years, I decided to pick up a bottle. When we visited my parents the following week, I showed them my purchases and they were intrigued that I got Bovril with beef in it. Huh? Why would it NOT have beef? 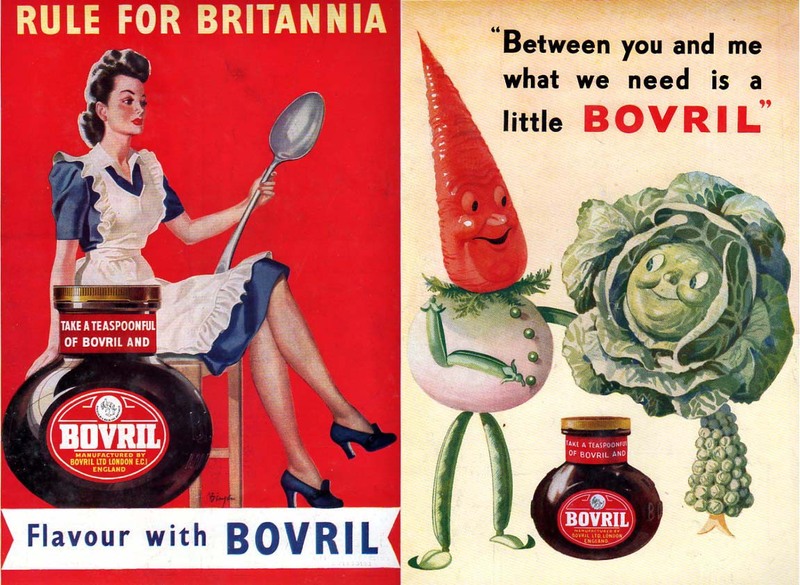 Want some Bovril of your own — with the beef? You can get it here. Okay, enough exposition. Time for the meat and potatoes of this blog post. Except we aren’t discussing meat or potatoes — we’re discussing GRAVY! Jacob LOVES gravy. His favorite dinners are the ones that include some sort of gravy. And it could be just about any gravy. Chicken etouffee — served over rice with gravy! Beef curry — served over rice with gravy! Not long after we got back from our Canada/Penn State trip, we were having steak and potatoes for dinner, and I wanted to put together an easy beef gravy. I figured I’d hop online and find a “Bovril Gravy” recipe, but I didn’t. Nothing. All the recipes were for how to make the broth drink. 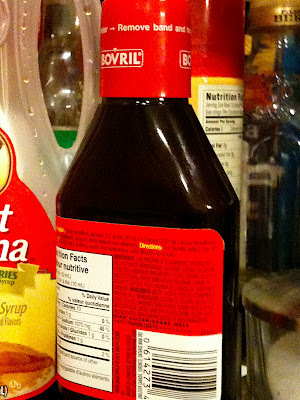 So I made one up — butter and flour in a roux, then I poured in the Bovril broth in the concentration recommended on the bottle (2 teaspoons per cup of boiling water). I messed up the proportions (too much butter and flour), so I had to add extra water and I ended up with a yummy buttery gravy, with just a hint of Bovril flavor. 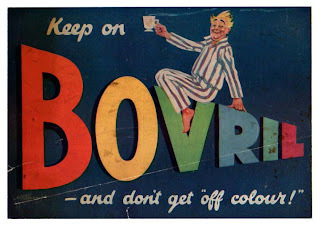 It was popular with the family, so I’ve attempted it a couple more times with higher concentrations of Bovril. Tonight, I made this again with meatloaf and I think I perfected it! And I even measured the ingredients. We all wanted to lick the gravy off our plates!!! In a small saucepan over medium heat, melt the butter, then whisk in the flour. Ta da! Now you have a roux! Heat the roux over low-medium heat, stirring constantly, until it just starts to brown. 5-7 minutes. (The darker this roux gets, the less thick your gravy will be…different people have different tastes…experiment and come up with what you like). Add the Bovril to the boiling water, then slowly whisk it into the roux. Allow to come to a gentle boil (you shouldn’t have to raise the heat at all, the heat of the roux will bring it to a boil quickly). Boil for 1 minute or until thickened.